Canadian cellist Arlen Hlusko is a dynamic and versatile young musician who has performed throughout Asia, Europe, and North America. As a soloist, she has appeared with several orchestras including the Calgary Philharmonic, National Arts Centre Orchestra, Orchestre Symphonique de Sherbrooke, and the Kitchener Waterloo Chamber Orchestra, and has given recitals across North America and China. Arlen is an avid chamber musician and has collaborated with renowned artists such as Ida Kavafian, Andres Diaz, Roberto Diaz, Lynn Harrell, Ronald Leonard, Roger Tapping, the Tokyo String Quartet, and members of the Guarneri, Orion, London Haydn, and St. Lawrence String Quartets. Festival appearances include Music from Angel Fire, the Taos School of Music, The Banff Centre’s Chamber Music, Masterclass, and Orchestral Programs, Innsbrook Festival’s Emerging Artists Program, National Arts Center’s Young Artist Program, and Domaine Forget Chamber Festival. In Summer 2016 she will appear at the Perlman Chamber Music Workshop. She has performed in Curtis on Tour ensembles across Asia, Europe, and the United States, and has taught at Curtis Summerfest. Additionally, Arlen enjoys orchestral playing, and has performed as Principal Cellist of the Curtis Symphony Orchestra and the New York String Orchestra at Carnegie Hall. Arlen is passionate about finding creative ways to use music to serve and enrich her community. She was chosen as a 2015-16 Curtis ArtistYear Fellow, enabling her to spend a year as a citizen-artist dedicated to finding meaningful ways to reach individuals with autism and dementia, mainly focusing on communities that have limited access to the arts. Equally committed to pedagogy, she has recently collaborated with teaching artists from the Philadelphia Orchestra, given masterclasses in the United States, Canada, and Germany, coached several youth orchestras in the greater Philadelphia area, and currently maintains a private cello studio in the city. Since 2011, Arlen has actively volunteered as both coach and private cello teacher with “Play on, Philly!” and “Youth Orchestra Los Angeles,” and has previous experience teaching advanced placement music theory and ear training at the Colburn School of Performing Arts. 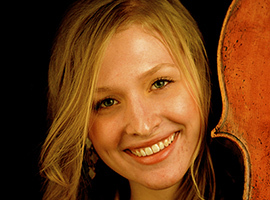 Arlen graduated from the Curtis Institute of Music in May 2015, where she held the Jacqueline du Pre Memorial Fellowship and studied with Carter Brey and Peter Wiley. In her spare time, Arlen enjoys fashion design, hiking, photography, reading, swimming, and spending time with friends and family.